Crimson Heart, part of our most coveted Hearts On Fire Necklace collection. 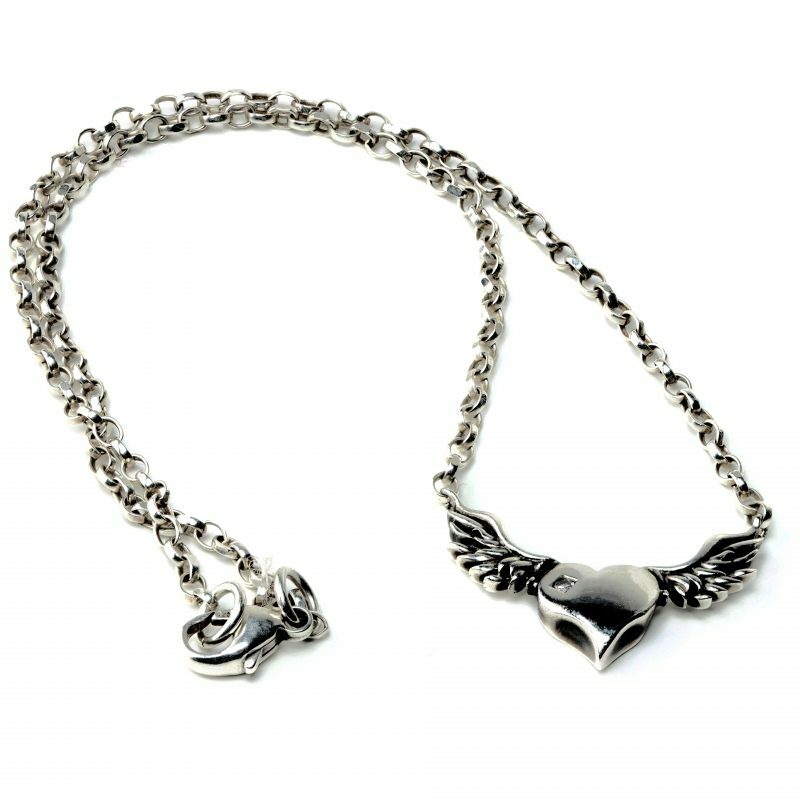 Lovingly handcrafted in London using both modern and traditional jewellery making techniques, this winged silver heart necklace is set with a red Sapphire and beautifully finished with a bright shiny heart and blackened oxidized wings. Perfect to layer with your favourite necklaces or to wear alone. Can also be paired with the Shine Earrings to make the perfect set. *Please note if you require a custom size please email us here: info@justinecullen.com and we will be happy to help.